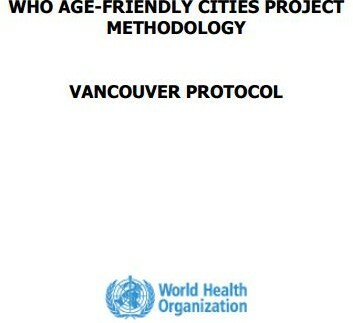 The Vancouver Protocol was used by collaborating cities in conducting the focus group research in 33 cities in all world regions that led to the WHO Global Age-Friendly Cities Guide in 2007. It is called the Vancouver Protocol in recognition of the generous support of the Government of British Columbia in hosting the meeting of project partners to prepare the protocol. The purpose of this document is to guide groups who wish to use the same research approach to assess their community’s age-friendliness as a basis to identify areas for action. 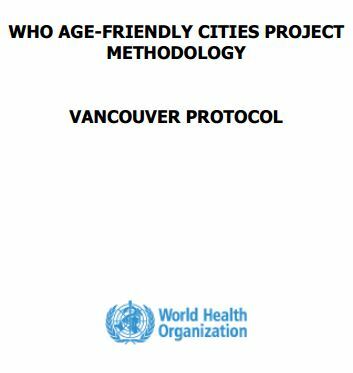 The results of this local assessment can be compared with the checklists of age-friendly city features found in the WHO Global Age-Friendly Cities Guide. The local information provided by older persons and others will help to pinpoint the community’s specific advantages and weak spots. Furthermore, the involvement of community members as active participants in the evaluation will elicit their support and engagement. Persons involved in Age-friendly community research process should also play a role in suggesting changes and in implementing and monitoring improvements. Read the Vancouver Protocol here.